It may be a surprise to learn that the “Be, Know, Do” (BKD) model of leader development which has gained some degree of popularity in both formal and non-formal Christian leader development did not originate in the church, but in the U.S. Army. In view of its endorsement and extensive use by such a large-scale and diverse organization whose mission wholly relies on the ongoing building of new leaders, the BKD model clearly has some degree of credibility. There are questions, however, about the appropriateness and, most importantly, the sufficiency of this model for specifically Christian leader development. This Letter will begin to examine the BKD model as an overarching framework for understanding the goal and process of Christian leader development. The very first step of designing an effective leader development strategy must be to clearly define the goal. Into what, exactly, are we trying to build the emerging leader? If our leader development efforts are successful, what will they produce? What will the leader “look like” at the end of an effective process? Thus, we must first define the “ideal” Christian leader – or, in our language, the “healthy” Christian leader. 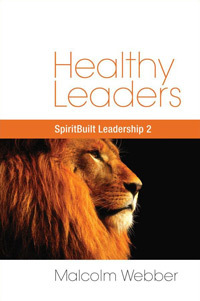 This definition of the healthy Christian leader then becomes the goal of all leader development activities. The “process” – or all the various activities that we implement to build the leader – must directly correspond to the goal and help the emerging leader move toward the goal in his development. This highlights the extreme importance of having the right goal. If the goal is not appropriate or adequate, then the process (which proceeds from the goal) will be insufficient and the leader development work itself will not be successful. The BKD model is a framework for understanding the goal of leader development. According to the Army, leaders lead others by their character, by their competence, and by their actions; therefore, effective leader development must focus on the leader’s character and values (“Be”), his competencies (“Know”), and his decisions and actions (“Do”). Versions of the BKD model have influenced U.S. Army leadership doctrine for more than half a century, and the Army’s long-term, continuing reliance on this model is significant evidence of its robustness. Clearly, this model provides a holistic goal, and leader development toward this goal becomes synonymous with the building of the whole person. While the three components of the BKD model are necessarily interrelated and integrated, for the sake of clarity we will discuss each of them separately. The Army sees itself as a values-based organization; therefore, the BKD model emphasizes “character-based” leadership. In addition to personal character development (in the seven main areas of loyalty, duty, respect, selfless service, honor, integrity and personal courage), the “Be” component stresses adherence to organizationally-shared values that bind together all members of the Army. This component also addresses mental, physical and emotional wellbeing. “Know” – Know What and Know How! Interpersonal skills (communication, coaching, teaching, counseling, motivating and empowering). Conceptual skills (critical reasoning, creative thinking, ethical reasoning, and reflective thinking). Technical skills (skills with equipment and systems). Tactical skills (combat, and survival). Influencing (making decisions, communicating those decisions, and motivating people). Operating (accomplishing the mission through planning, executing, and assessing). Improving (developing subordinates, building teams and creating learning opportunities and self-improvement). Direct leaders. Those involved in front-line, one-on-one leadership. Mid-organizational leaders. Leaders who influence others indirectly through their subordinates as well as through the policies they establish and the climate they create. Strategic leaders. The top leaders of the organization. As we begin to reflect on the strengths and limitations of the BKD model, our purpose is not to critique the Army’s use of this model, but rather its use in distinctly Christian leader development. It articulates a clear, systematic goal for leader development. Too often, in Christian ministerial training, we simply perpetuate traditions, teaching as we ourselves were taught, without systematically defining what our specific goals actually are and without questioning whether or not our processes are likely to achieve those goals. Simply by codifying the often unstated views about the “ideal” Christian leader, the leader development process will be strengthened through this model – indeed, almost any halfway-decent goal is better than none! The BKD model describes a holistic goal, attempting to address the developmental needs of the whole person. Sadly, a vast amount of Christian leader development consists merely of academic courses such as Old Testament Survey, New Testament Survey, Systematic Theology, Biblical Ethics and Church History, with little attempt being made to address spiritual life, relational capacity, character, calling and vision, not to mention the myriad of complex ministry competencies that are necessary for successful Christian leadership. Compared to this, the BKD model is a vast improvement! The three components of the BKD model are, unarguably, all of vital importance for Christian leaders. In particular, the model explicitly highlights personal character development as a central and obligatory issue in leader development. Hands-on experiences and job assignments. The BKD model’s observation of varying levels of leadership with correspondingly-different developmental needs (essentially in the “Know” and “Do” components) is an extremely useful insight for leader development in every sphere, including Christian ministry. Without a clear goal in leader development, any evaluation is virtually impossible. The BKD model, by establishing such a clearly defined picture of the desired outcome of leader development, thus lays a foundation for effective evaluation of its effectiveness. Be, Know, Do: Leadership the Army Way by the Leader to Leader Institute. But, is it all positive? In our next Letter, we will examine a number of significant limitations of the BKD model as a basis for the design of Christian leader development.